Prince Creek Village Center is located at the intersection of SC Hwy 707 and TPC Blvd. in Murrells Inlet, SC. 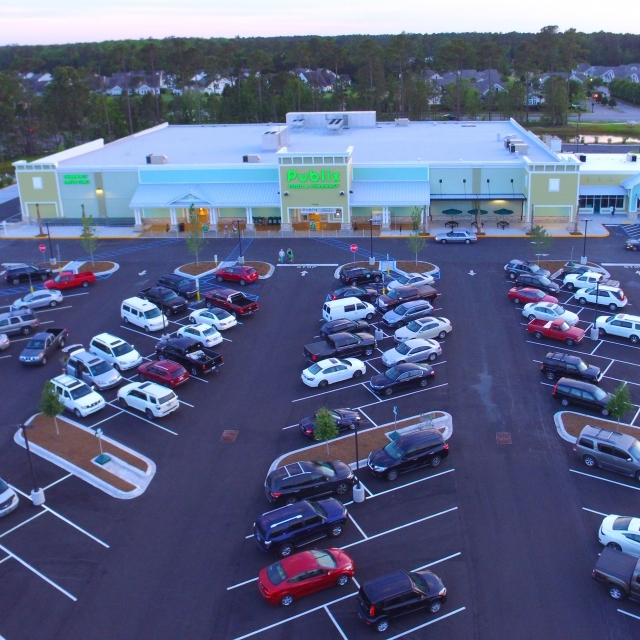 Prince Creek Town Center will be a 63,600 square foot Publix anchored shopping center, well located with access from both Hwy. 707 and TPC Blvd. The property is well situated to serve the surrounding area which has over 20,000 homes within a five mile radius. Murrells Inlet, a seaside town, is approximately 10 miles south of Myrtle Beach in Horry County, South Carolina. Murrells Inlet is considered to be the "Seafood Capital of South Carolina“ and also home to some of the nation's finest golf courses. Demographics–The average household income within a 1 mile radiusis $66,998 and the average household income within a 3 mile radiusis $64,615. S.C. Hwy. 707 & TPC Blvd.